A new way to boost revenue is to accelerate the expenditure on the packaging of the product. The design and quality of belt do play a role in generating revenue for the company. However, it is equally vital to exhibit the product in a way that appeals to the customer and derives them to process the purchase. There is a huge market of belt boxes but what gives our company an edge is the quality material used in the manufacturing of the belt boxes. 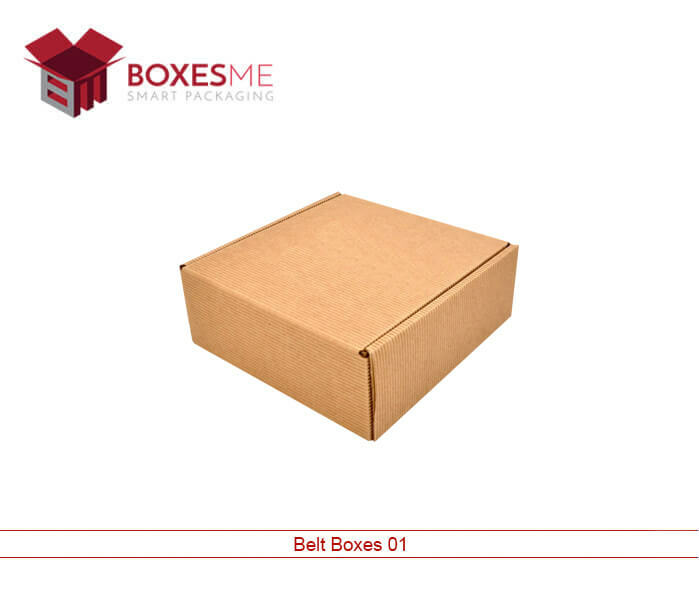 Every client desires to opt for the best quality belt boxes at an affordable price. 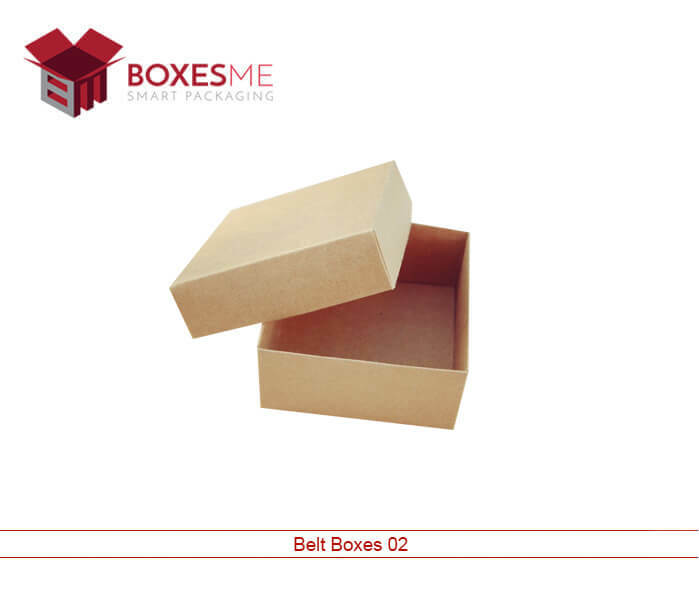 Here at BoxesMe, we acknowledge the individual demands and affordability issues and thereby provides a range of belt boxes that fulfills the requirements of every client. The manufacturing of belt boxes is flexible to any changes stated by the client. The dazzling colors and sizes further enhance the look of the belt box. The client has the choice to make specific amendments that help stand the brand icon. The stylish belt boxes are more likely to generate increased revenue, as customers are attracted to such unique luxury packaging of belts. 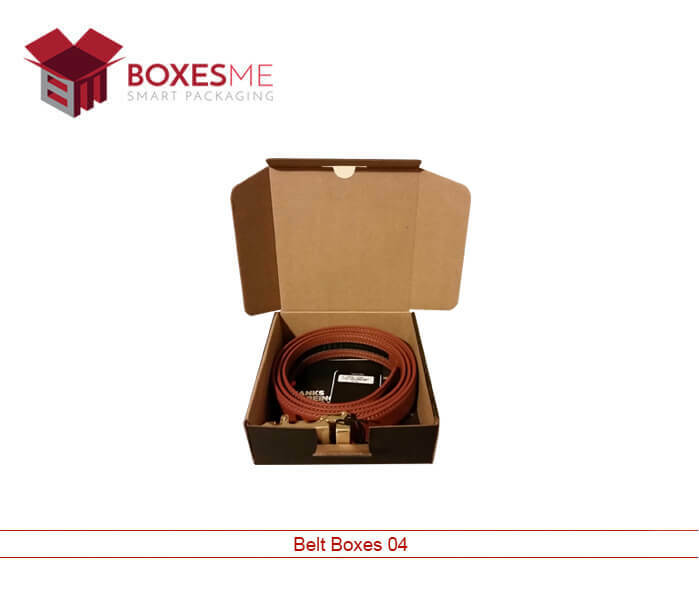 The description imprinted on the belt box helps the customer analyze the design and size before making the purchase. Our designer has launched distinctive designs that assist the product stand out from the rest. 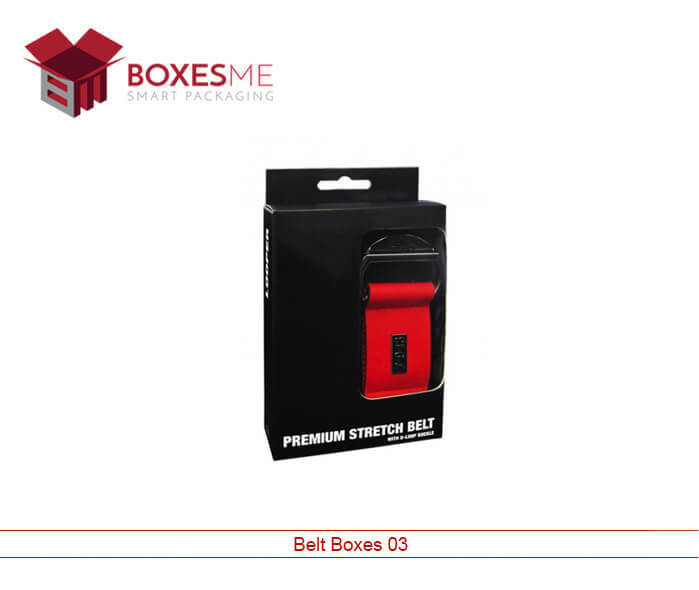 The high-quality material used in the manufacturing adds durability to the belt box and sustains the overwhelming looks of the belt. The company has designed special custom pillow belt packaging for an expensive and delicate belt that entails extra safety. Every other requirement put forward by the client that might compromise the sale of the product is carefully looked after. Our highly qualified staff and designers allow you to choose the best available designs. The dull color belt boxes are designed mostly for men and the dull shads are more likely to attract men. However, women find bright colors more appealing. The combination of color, prints and luxury ornaments is what most women desire. It adds value to their status and beauty. Also, a PVC window is installed in the belt box that allows the customer to have a glimpse of the product inside. It always helps to decide when u can see what you are paying for. Therefore installation of windows has helped a lot. Not only does it benefit the consumer but leading to increased revenue ultimately benefits the company. When you are planning to gift someone with an accessory like a belt, what is more, vital is the packaging. It is the packaging that is more important than the belt itself. The belt box also takes place of the gift box so It is extremely important to see how the packaging looks.